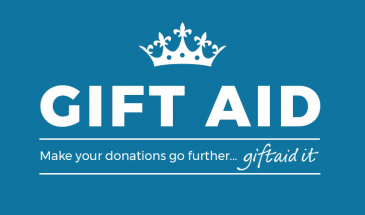 Gift Aid allows charities in the UK to opt-in and claim an extra 25% for every £1 their donors give. Gift Aid options in a Give Form. 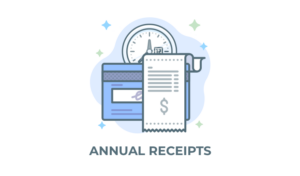 The Gift Aid Add-on enables your organization to collect donations with Gift Aid enabled and report on those donations easily. The UK Gift Aid program can help add up to 25% to your total donations. Each of the articles in this section go in depth on each of the features of the Give Gift Aid add-on. Do you need guidance on downloading, installing, or activating Give Add-ons? Read our docs about that here. Upon activation of the Give Gift Aid add-on you will not notice any noticeable change. You’ll first want to go to “Donations > Settings > Gift Aid” and enable the Gift Aid setting. 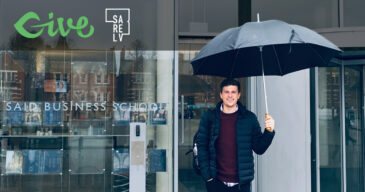 Read more about the Gift Aid General Options. After enabling and configuring the general Gift Aid options, you also have the ability to customize these settings per form. Read more about the Per Form Gift Aid Options. As you collect donations with Gift Aid enabled, you’ll need to report on that to the UK government in order to receive your Gift Aid funds. Give helps you do that with our Gift Aid reporting tools. Read more about Gift Aid Reporting. 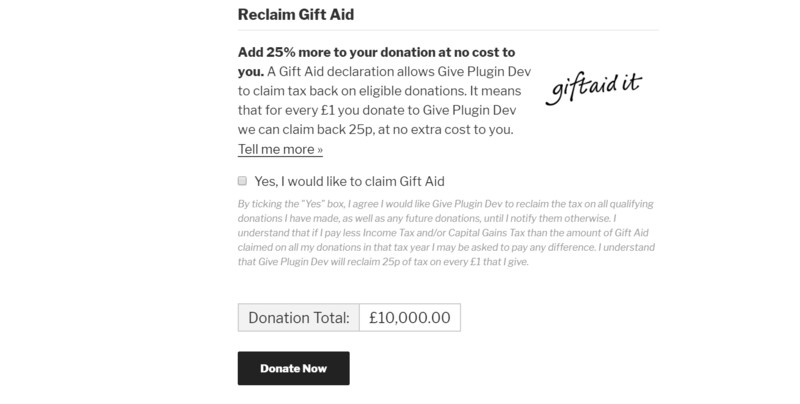 You can export all your Gift Aid related donations with one simple tool. Simply go to “Donations > Tools > Export”. Read more about Gift Aid Exports here.